Today, I came to the realization that sometimes Americans may seem ignorant because of a lack of foundation. It’s strange to hear that some of our elementary and middle school students still don’t know where Alaska and Hawaii are located on a map. After browsing the Internet for maps of the US, I now know why. 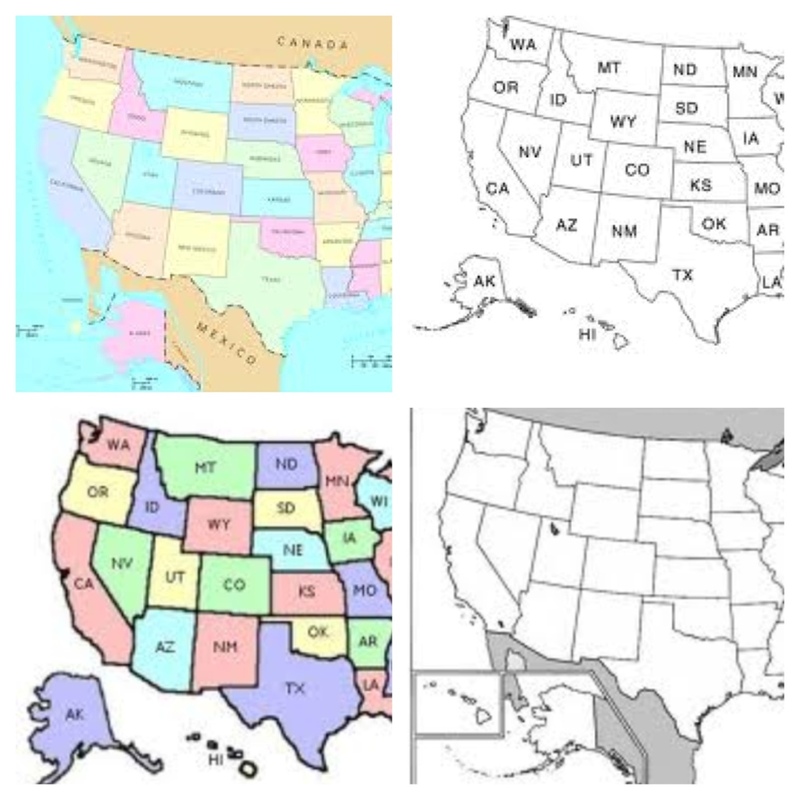 The placement of Alaska and Hawaii on our maps really do confuse students. Is Alaska located next to Hawaii? Are they both below the rest of the United States? After I originally left a comment I seem to have clicked the -Notify me when new comments are added- checkbox and now whenever a comment is added I get four emails with the same comment. There has to be a means you can remove me from that service? Many thanks! After looking over a handful of the blog posts on your web site, I really like your technique of writing a blog. I added it to my bookmark site list and will be checking back soon. Take a look at my web site as well and tell me how you feel. May I just say what a relief to uncover an individual who actually understands what they are discussing online. You actually know how to bring an issue to light and make it important. More and more people ought to read this and understand this side of the story. I was surprised you aren’t more popular given that you certainly have the gift. Hi, I do think this is an excellent blog. I stumbledupon it 😉 I am going to revisit yet again since i have bookmarked it. Money and freedom is the greatest way to change, may you be rich and continue to help others. Oh my goodness! Awesome article dude! Thank you, However I am going through issues with your RSS. I don’t know why I am unable to subscribe to it. Is there anybody else having the same RSS issues? Anyone that knows the answer can you kindly respond? Thanks!! An impressive share! I have just forwarded this onto a colleague who was conducting a little research on this. And he in fact ordered me dinner because I found it for him… lol. So allow me to reword this…. Thanks for the meal!! But yeah, thanx for spending the time to discuss this matter here on your internet site. A motivating discussion is worth comment. I do believe that you ought to write more on this subject matter, it might not be a taboo matter but typically people do not talk about these subjects. To the next! Many thanks!! Oh my goodness! Impressive article dude! Thanks, However I am encountering issues with your RSS. I don’t understand the reason why I cannot subscribe to it. Is there anyone else getting identical RSS issues? Anyone who knows the solution will you kindly respond? Thanks!! Hello! I could have sworn I’ve been to this website before but after looking at many of the articles I realized it’s new to me. Nonetheless, I’m certainly happy I found it and I’ll be book-marking it and checking back frequently! A motivating discussion is definitely worth comment. I do believe that you should write more on this issue, it may not be a taboo matter but generally people don’t discuss these topics. To the next! Many thanks!! The next time I read a blog, I hope that it does not disappoint me as much as this one. After all, I know it was my choice to read, nonetheless I truly thought you would have something useful to say. All I hear is a bunch of whining about something that you could fix if you were not too busy searching for attention.